Todays Video Review is really something different from Replica Airguns but I felt that it might be something that our viewers and customers would find interesting and perhaps consider picking up something like this for themselves down the road? So make sure to let me know what you think and if I get enough positive feedback I'll take a look at getting some of these mini replica rifles in our online store. 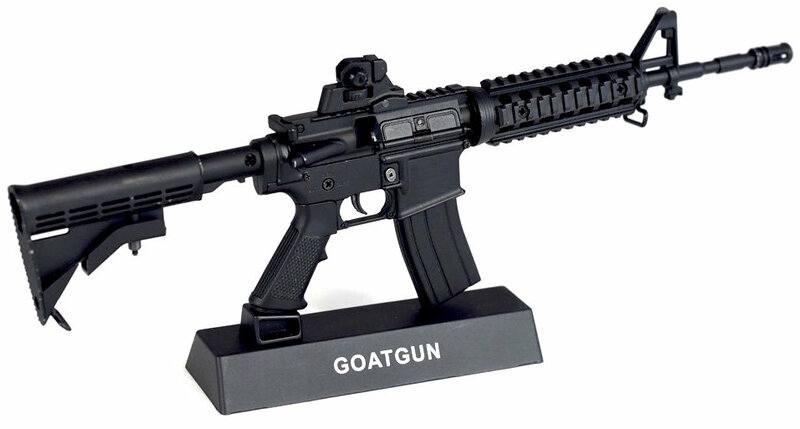 The product I am reviewing today are there 1/3 scale replica rifles from Goat Guns. The M4A1, the AK47 and the Tommy Gun. They are non-firing highly detailed mini versions of the real steel guns they are models of. You even build them nearly the same since they come in a kit. All the metal parts you would find on the real steel version are metal in the Goat Guns replicas. You will even find working bolts and triggers, removable magazines, adjustable sights and they even include three small metals bullets you can load into the magazine. 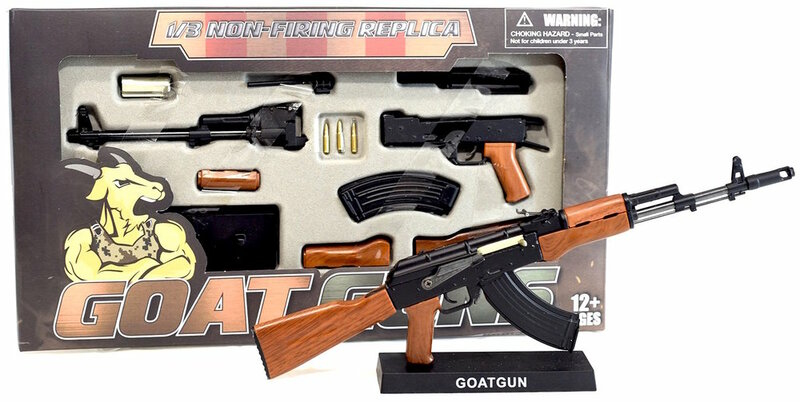 If you're a gun person I'm pretty sure you will die these highly detailed miniature non-firing replica rifles from Goat Guns and the price is really not that bad considering what you get, only about $30-$40 US.